1. What are the benefits of flexible working? Our award winning research shows a direct connection between employee morale and the provision of flexible working hours. Our study shows that when the organisation recognises the conflict that employees have with their life commitments, and is prepared to provide a crucial support mechanism in the form of flexible working, then employees reciprocate with a new and more positive attitude to work. Furthermore, often this flexible hours support mechanism is most appreciated at times of pressure or crisis. Therefore, unusually for a human resources subject, flexible working hours can reach right into the employee’s home and home life. It should also be noted, that the concept of the work/life balance is an issue for all people irrespective of their age group or family commitments. A younger or single people, perhaps less committed to family obligations, will see the benefits of solving their work/life conflict through utilising flexible working in their own way. For example, avoiding traffic, attend night courses more easily or nights out. 2. What are the guidelines? Taking the “one size fits all” approach, the rules usually indicate that employees may start work between, for example, 7.30am and 10am. They must be present between 10am and 12 noon. A flexible lunch break is usually between 12 noon and 2pm and employees must be present between 2pm and 4pm. They may leave any time between 4pm and 7pm. The tailored version might offer an employee a different start, lunch or finishing band to others in the group – depending on work processes. 3. What is the usual flex period? The most usual flexible working period is a four week month. Increasingly, however, the period connected to the flexible working arrangement is agreed with the individual. Some organisations prefer to work on a calendar month basis. For example a job sharer might only work two weeks a month. Therefore in that case the flexible working period could be 8 weeks. Taking the more conventional example of a four week month, a company with employees currently working a 35 hour week would set a target of 140 hours for that four week period. 4. What if people don’t put in exactly 140 hours? It’s most unlikely that employees will work exactly 140 hours and for this reason, companies allow a credit or debit of up to, say, 10 hours to be carried from one month to the next. This credit time can be taken off (flexi leave) at a convenient time during the next month. In practice, the average number of hours carried forward is 3.5. Fears that employees will get behind in their time has proven unfounded. 5.Will flexible working make junior executives work less because they’ll be taking time off? In all the companies with which we have been involved, there is no indication that flexible working has reduced the sense of responsibility at any level. Responsible executives in most cases are task oriented people and tend not to consider time as their primary motivation to get the job done. This is the essence of flexitime – people can work towards a task so that it doesn’t matter if time runs over the conventional day time span. That time can be taken off when things are less hectic. This way the executive manages the peaks and troughs in more considered way than under a conventional fixed day or shift. Without flexitime, an executive staying late will lose time (or not receive any benefit for it). To make it more frustrating, the following day they might have fewer tasks but still need to be present because of the arbitrary 9 to 5 day or fixed shift arrangement. With flexitime, the executive knows that their time worked is being recognised by the system. This helps even if they find that, on occasion, time is being lost. So if an employee works after the flexi bandwidth end (after 7.00pm), management will still be aware because the employee has clocked-out. Some organisations then take that excess time into consideration when it comes to appraisal or work assessment. 6. Cover at work – how can we cope? Some of our people are key and we struggle when they are not available – say on a flexi day. Irrespective of flexitime, it’s not a good situation where tasks of key people cannot be accommodated by others for a short time period each day. Again, contrasting with the arbitrary 9 to 5 day or a fixed shift, the concept of flexitime encourages a person to plan their time more. This is good from an organisation’s perspective and includes key people and those they report to. VisionTime helps this process invaluably, through for example, providing various parties with access to projected information on which to base decisions about how best to utilise working time. VisionTime Who’s In? enables staff to see who is in or out at any given moment. The notion of being seemingly indispensable is surely even less challenging than when annual leave is taken. With flexitime, the work is most likely already done through a build up of time. The controlled conditions that apply in a properly constituted flexitime scheme (ie with a full and agreed set of guidelines) – even when a manager takes flexi-leave – help the department to function more effectively in the long run. This is partially because other members of staff have to routinely know and understand what goes on in their absence. So a hidden benefit of flexible working hours is that an element of up skilling has been reported by our customers. 7.How can the payroll department keep track of a system like this? Then, and only then, can employees’ work pattern become flexible. 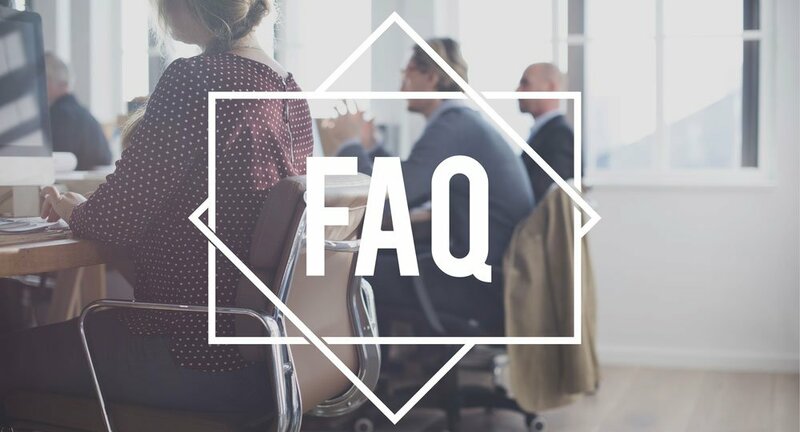 Normally the payroll office simply works on the exception principle and is only advised of variations to the norm (unpaid absences, paid overtime), but would not be involved in the carrying forward of credits or debits of hours. 8. There is many levels of freedom inherent in flexible working hours. Can the staff really be trusted? In certain respects, flexible working hours is actually quite a structured practice. A set of detailed rules or guidelines need to be agreed between management and employees. This is quite unlike the old 9-5 day or a strict shift arrangement where all that is agreed is “be in from 9 to 5” or, on shift A, “between x and y”. Everything else is left to chance. VisionTime Shift Plan enables companies manage shifts quickly and easily. In addition, VisionTime helps to micro manage the new situation – so that everyone knows what is happening at all times. Where there are certain levels of freedom, good managers and employees will act responsibly. We have proven time and again that when you give employees the responsibility of managing their own time and the dignity of setting a work pattern that is compatible with their workload, they will perform very well indeed. The majority of staff can be trusted and when an individual decides to abuse the rules, workmates tend to pull them into line simply to protect their own flexibility. The threat of being returned to fixed hours, a condition which is usually part of the agreed rules, tends to be enough to ensure that flexitime will work effectively.